First came the invitation to to join a MUFON State Leadership Forum on Facebook, which I did somewhat reluctantly... I knew the new MUFON boss, Jan Harzan, was all about beefing up MUFON's social media presence, and this Forum seemed like a good first step. But in only a few days it has lived up to my worst expectations: the latest conversation is about whether we should have color-keyed ID badges--"Let's say a gold one for State Directors, a silver one for Assistant State Directors, and a green one for State Section Directors"--or maybe color-keyed golf shirts with our names and ranks embroidered on them. Speaking as a State Section Director, I question why the color scheme goes from gold to silver and then directly to green. Why don't I deserve at least bronze? What is MUFON trying to tell me? Can you imagine the furor if the Olympics started giving out green medals for the poor saps who come in third? At the next Olympics there would be exactly two competitors in every event. The discussion that followed this suggestion was entertaining and informative... What about colorblind MUFON members? What about MUFON people who live in hot climates who prefer wearing light colored shirts? Who will pay for the embroidery? Would everyone have to stick to one standard font, or could we get creative? This is the new MUFON. "After two years at MUFON, I quickly realized several problems that can be easily fixed by Mr. Harzan. The first and most important mission for Mr. Harzan is to ensure MUFON recalibrate its compass. After attending dozens of MUFON conferences nationally, for example, it is clear that MUFON has been inundated with topics that have nothing to do with Ufology – it is intoxicated with conspiracy theories, hoaxes, junk science, new age claptrap and a level of sensationalism that would make The National Enquirer envious. His first goal, therefore, should be to drain the swamp of all this garbage and bring the science back to the subject." Well, I think you have your answer about the new regime at MUFON. If the first order of business is color-coded badges, I wouldn't hold out much hope for drastic changes anytime soon. Good luck with that swamp dredging. Thank you, Mr. Paris. You and API make a lot of sense! Thank you for the sensible and well reasoned post, Mark OC. I appreciate your interest in my work at 'The UFO Trail', as well as your concerns about the future of research in ufology. Let's hope our efforts make a difference and add to some constructive, long overdue changes, or, at the least, help more accurately identify sham inquiry for what it is. MUFON is hopelessly obsolete. They have chosen to pander to the lowest common denominator in an effort to survive, and have only succeeded in perpetrating a circus sideshow. It is particularly bitter when we see CUFOS go out of business, NARCAP struggling in obscurity, and the few serious researchers setting off on their own, refusing to share information with one another. As long as there are at least a few of us trying to bring about change, there's some hope. 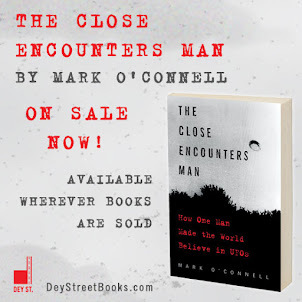 A few months ago, when I was investigating a CE2K for MUFON that involved physical effects on a car, my friend Mark Rodeghier at CUFOS asked if I would be willing to share my information with him, since he has written extensively on this type of phenomena. 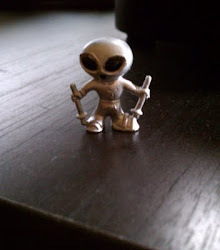 My State Director at MUFON was extremely suspicious and reluctant to let me share, which was pretty ridiculous. In the end she came around, but the whole territorial thing was really silly. No organization is perfect, including MUFON and mine (API). the best solution is to exploit each others best practices and work together toward a common goal. Antonio, but what is the common goal you refer to? I am willing to bet that if you asked a dozen people you would get a dozen different answers. I agree that the days of large scale ufo organizations is almost at an end. But what will replace them? And besides, what has been resolved? Nothing in my mind. You need a clean slate headed by people who are serious about sharing the results with others. From all I have read here that day is not likely to occur any time soon. Anyone with deep pockets is going to keep the info to himself. It's probably best to let these organizations die on the vine and let the internet provide a new way of doing things.